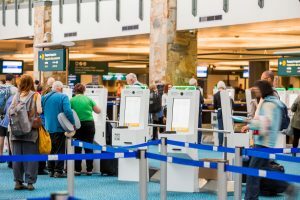 YVR’s Innovative Travel Solutions BorderXpress kiosks has processed almost 250-million passengers at 42 airport and seaport locations around the world and sold more than 1,600 kiosks. YVR’s Innovative Travel Solutions (ITS) celebrated the end of 2018 with two industry-leading, in-market solutions to meet the passenger needs of tomorrow: BorderXpress and CheckitXpress. 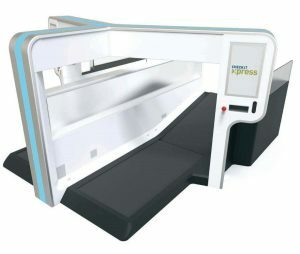 With the expansion of BorderXpress in Cyprus, marking the first kiosks to be implemented for Entry and Exit border control in the European Union, YVR’s ITS retained its position as the leading provider of border control kiosks. At the end of 2018, BorderXpress had processed almost 250-million passengers at 42 airport and seaport locations around the world and sold more than 1,600 kiosks. In early 2018, ITS celebrated the installation of two BorderXpress kiosks onboard Ferries del Caribe’s passenger cruise ship, the MV Kydon. This marked a milestone for the industry as Ferries del Caribe became the first-ever cruise operator in the world to install border control kiosks onboard a cruise ship or ferry. ITS expanded its BorderXpress solution into the European market with the installation of 74 kiosks at Pafos International Airport and Larnaka International Airport in Cyprus. The launch in Cyprus represented the first implementation of permanent kiosks for Entry and Exit border control in the European Union. ITS also sold 16 BorderXpress kiosks to Grantley Adams International Airport (GAIA) in Barbados for use by residents, the Caribbean Community (CARICOM) region and those who hold permanent or indefinite status in Barbados. CheckItXpress, accessible, efficient and intuitive self-service bag drop. The year also saw the successful launch of CheckitXpress, the world’s most accessible, efficient and intuitive self-service bag drop. ITS partnered with Glidepath, a leader in baggage handling solutions to bring the world’s most accessible, efficient and intuitive self-service bag drop to market. There are now 10 CheckitXpress positions in place at YVR, which have processed more than 122,062 bags to-date. 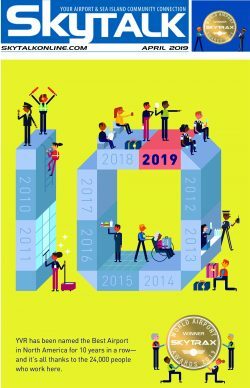 The team at ITS continues to attract top talent and further its position as an industry leader in passenger processing innovation. Steve Hankinson was appointed vice president of planning and innovation for Vancouver Airport Authority and is now responsible for overseeing ITS.